There’s something you don’t know about The Nerd. My man LOVES him some Broadway musicals. One of the first times I ever rode with him in his car, he belted out the lyrics to songs from Wicked. He even refused to go to my brother’s wedding because he had tickets the same night to Monty Python’s Spamalot. Yeah, try explaining to your family that your new boyfriend preferred to watch singing men in tights instead of meeting them. Fun. But you know what? We’ve never seen a musical together. 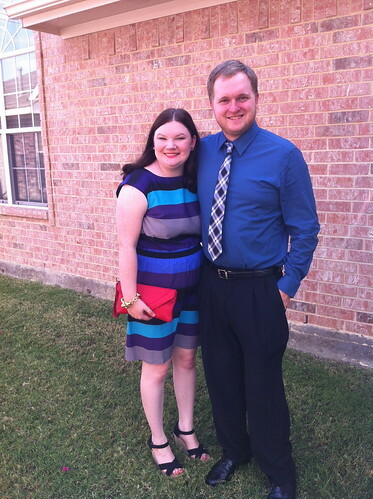 We were invited by Dallas Summer Musicals to attend Opening Night of Peter Pan. To say that we enjoyed the show would be an understatement. The set was gorgeous. And set changes were seamless. 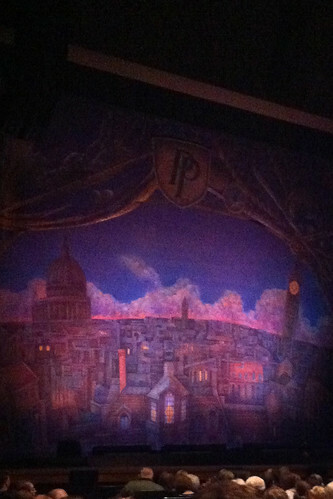 Cathy Rigby was fantastic as Peter Pan. She flew around the stage, sprinkling silver fairy dust in her wake. Her aerobatics were incredible and it seemed like she was born to fly. Tiger Lily was gorgeous and an amazing dancer. The scenes with her tribe were some of my favorite parts of the show. But the highlight of the night was Captain Hook and his band of pirates. He was hilarious and the perfect character. I have never seen Hook played like that before. And it was marvelous. Peter Pan At Dallas Summer Musicals from Dallas Summer Musicals on Vimeo. 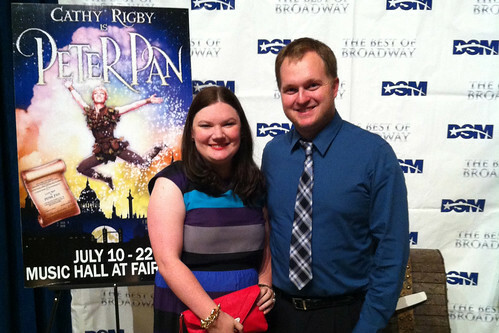 You can see Peter Pan at the Music Hall at Fair Park from July 10-22. Get more info on tickets here. Also, be sure to check out the amazing line-up of shows to come at Dallas Summer Musicals! Do you think I should take The Nerd to see Wicked? The best thing about this show is that is perfect for a family night out. It made a great date night with my hubby, but I would have had just as much fun with my niece and nephew. In fact, my friend Jennifer brought her daughter to see the show and my friend Meagan brought her son, Andrew. There aren’t many musicals I’d feel comfortable bringing a child to see, but this is definitely one of them. It was be the perfect getaway on a summer night. Disclaimer: I was provided with two tickets to see Peter Pan to promote and review the show. All opinions are my own. Yes, you should see Wicked with your husband. 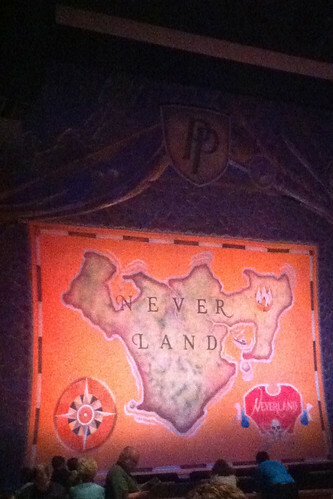 I saw it over the weekend at the MSU Wharton Center, and I hope they would bring Peter Pan on stage there also. I would love to see Peter Pan. Try to get the best close up seats so you can see the actors’ expressions. I was high up and didn’t see the expressions so it was not as enjoyable. Or bring those opera binoculars. Y’all are so cute! It was great to finally meet you! We had a wonderful time too. Andrew loved it! Thanks again! I’m glad you had a good time. Musicals can be really fun. I wanted to tell you I love your dress! It’s fabulous and the colors suit you to a T! Thanks for the Twitter follow (https://twitter.com/zoojourneys). I’m a new follower via Pinterest (http://pinterest.com/journeyofthezoo). My hubby is a Trekkie too, but doesn’t like musicals (I love them!). Congrats on your baby Spock. Great name (he shares it with my brother). Hope you’ll stop by The Zoo for a visit, laugh, or giveaway. You’re always welcome!